Small - Short (28cm) - SHIPS FREE! Medium - Short (28cm) - SHIPS FREE! Medium - Short (28cm) Full Calf - SHIPS FREE! Large - Short (28cm) - SHIPS FREE! Large - Short (28cm) Full Calf - SHIPS FREE! X-Large - Short (28cm) - SHIPS FREE! X-Large - Short (28cm) Full Calf - SHIPS FREE! 2X-Large - Short (28cm) - SHIPS FREE! Small - Long (33cm) - SHIPS FREE! Medium - Long (33cm) - SHIPS FREE! Medium - Long (33cm) Full Calf - SHIPS FREE! Large - Long (33cm) - SHIPS FREE! Large - Long (33cm) Full Calf - SHIPS FREE! X-Large - Long (33cm) - SHIPS FREE! X-Large - Long (33cm) Full Calf - SHIPS FREE! 2X-Large - Long (33cm) - SHIPS FREE! 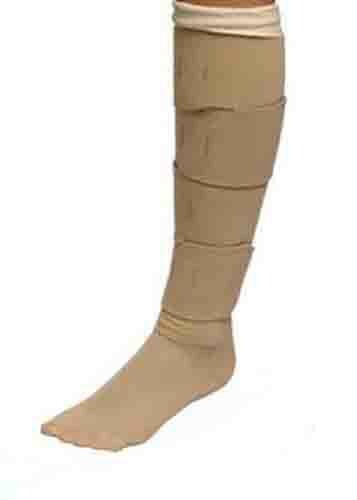 CircAid Juxta-Lite Legging Wrap is designed to treat mild to moderate lymphedema of the lower leg. It can be easily adjusted to fit each individual's leg size. It can be worn 24 hours a day and is machine washable. 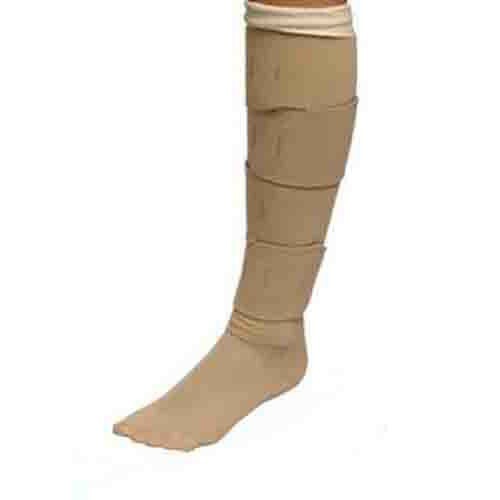 It provides compression and helps manage edema. It is easy to get on and off, adjustable, and works well with stockings, such as mens's compressions garments as part of a complete compression system. It is made of nylon, polyurethane, elastane, and is latex free. It has a built-in pressure system guide card that provides targeted compression ranges for improved results. It is available in a variety of sizes from small to 2X-large and can be purchased in short, long, or full calf. Is there a location in the orlando area that sells this juxta lite wrap for legs? We're an online retailer with a single location, so we're unsure if this is carried in your area. It's best to contact the manufacturer to see if they have an outlet store that sells the item. Worked very well to bring down swelling in my lower leg. Comfortable to wear and much easier to get on and off than elastic stockings.